The Waitrose ducklings are named Crispy, Fluffy and Ugly. 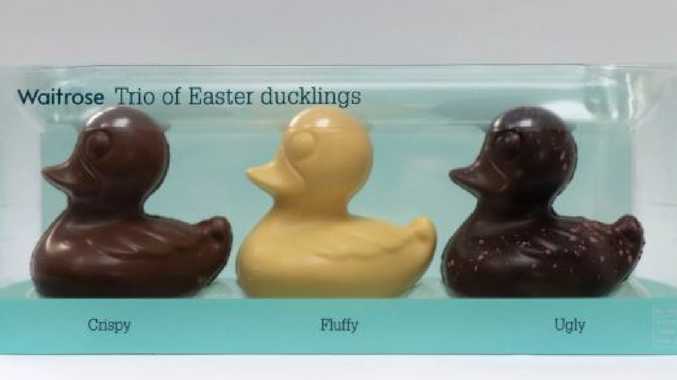 A UK grocery store has apologised over a "racist" Easter duckling product after customers complained the dark chocolate one was labelled "ugly". The $14.60 box set of milk, white and dark chocolate ducklings has upset some people after they were individually marked "fluffy", "crispy" and "ugly". The product was temporarily pulled from shelves by the high-end supermarket to allow time to redesign the packaging after a "small number" of customers were offended. 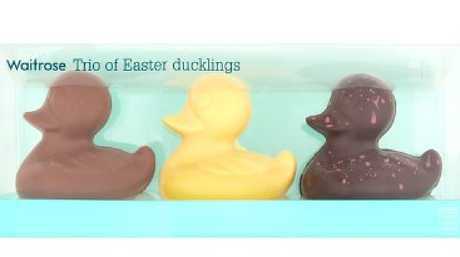 The Waitrose trio of chocolate Easter ducklings are now available to buy again in shops and online - minus the controversial labels. Although not made explicitly clear by supermarket bosses, it's thought the name "ugly" may have been chosen as a reference to the classic fairytale The Ugly Duckling by Hans Christian Andersen. The fairytale is about a "stubby and brown" duckling who is mocked and shamed by other ducklings but grows into a beautiful white swan. "Overheard women saying 'this is not right', I agree, doesn't look good at all." Another person wrote: "Thousands of other options … Why ugly?" The packaging has since been redesigned and the ducklings are back on the shelf. A Waitrose spokeswoman apologised for any offence the packaging might have caused. "We are sorry for any upset caused by the name of this product. 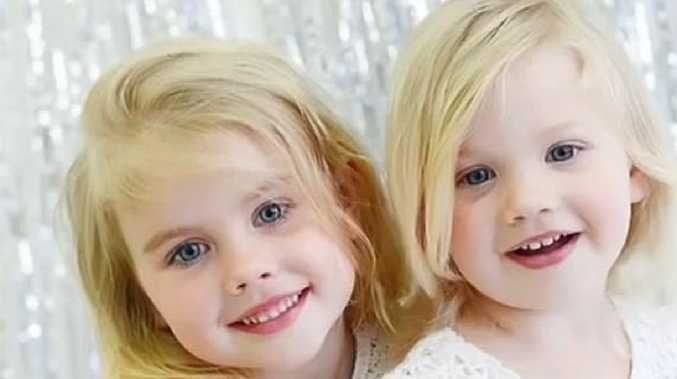 It was absolutely not our intention to cause any offence," the spokeswoman said. "We removed the product from sale several weeks ago while we changed the labelling, and our ducklings are now back on sale." Do you think these chocolates are racist? Let us know in the comments below.